Meanwhile, the US government reported an operating cash balance of only $73.8 billion on Wednesday. The numbers are a bit misleading, however, as the federal government brings in a lot more money than Apple from tax revenue. The federal numbers represent how much money the government has on hand before they hit the virtual “debt ceiling” while Apple’s money is liquid assets. The key difference is that Apple knows how to live on less than they make, a concept that the US government hasn’t quite figured out yet. Even if the world’s largest tech company were to loan Uncle Sam all of its available cash, the United States would blow through it in about eight days. According to Fortune, the US spends more than $10 billion a day. Key to Apple’s success is their growing smartphone market share, which now ranks number one ahead of Nokia and Samsung in the global smartphone market. 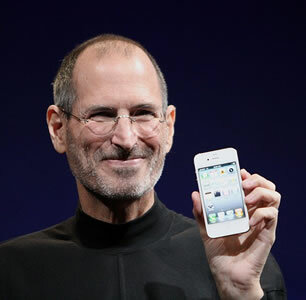 iPhone sales are expected to remain strong as a new model is scheduled for release in September.